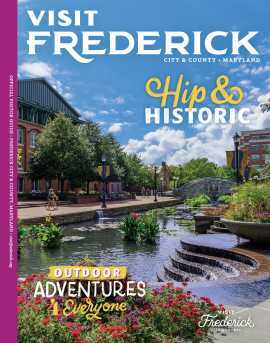 The FY20 Frederick County Tourism Reinvestment in Promotion & Product (TRIPP) Program Workshops will take place at the Frederick Visitor Center on February 12 and February 21. Please complete the form below to RSVP. Attendance to one of the workshops is strongly encouraged for all applicants. The person responsible for applying for the grant AND the person administering the grant and related project are both encouraged to attend. Each attendee should RSVP separately. Please provide accurate contact information and RSVP by the deadline in case we need to cancel the workshop due to inclement weather. Workshops are offered Tuesday, February 12 and Thursday, February 21, 2019. If the first workshop is cancelled, all attendees should plan to come to the workshop on Thursday, February 21, 2019.